A specialist in learning differences, Dr. Hallowell’s ground-breaking books, "Driven to Distraction" and "Delivered from Distraction" (both co-authored with Dr. John Ratey), brought Attention Deficit Disorder to the general public and have sold millions of copies. 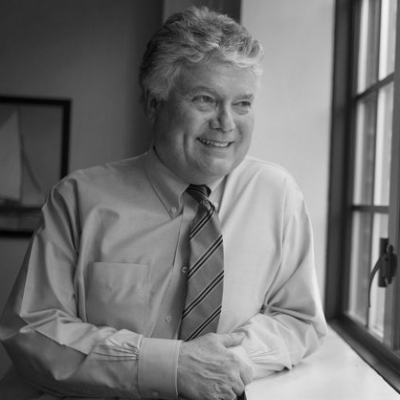 With decades of experience working with people who have ADHD, Dr. Hallowell has long argued that ADHD is too often misunderstood, mistreated, and mislabeled as a “disability” and that the gifts of this condition are easily lost amid negative comments. He is also a revered authority on lifelong personal betterment and fulfillment and has authored 18 books on various psychological topics including the power of the human connection, the childhood roots of happiness, how to manage your “crazy busy” life; how to deal with worry, how to forgive and how to run organizations so that every employee achieves at his or her peak performance. Beth works with families, individuals and youth using humanistic, strength based approach. Beth received her Masters of Psychology degree at Antioch University and has been working with diverse populations for over ten years. In addition to supporting individuals and families struggling with ADHD, Beth has extensive experience working with addiction and hard to serve populations. Beth received extensive post-graduate training at the University of Washington at the Addictive Behaviors Research Center at Center for the Study of Health and Risk Behaviors. 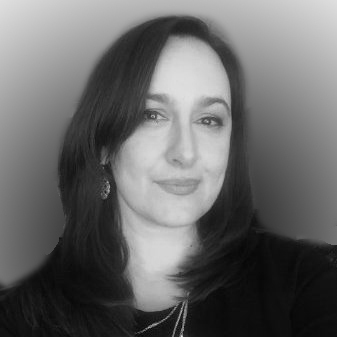 Jovana is a client-centered, strength-based therapist who obtained her Psychology undergraduate degree at the University of Washington, followed by her Marriage and Family Therapy degree from Antioch University Seattle. Jovana received the majority of her clinical training and experience through working with children and families in an acute care setting at the Inpatient Psychiatric Unit at Seattle Children's Hospital, where she worked to help support children/adolescents (and their families) struggling with ADHD, mood disorders, behavioral disorders, and eating disorders. Simultaneously, Jovana’s own private practice and focus has been dedicated to more humanistic and collaborative approaches, helping the person’s strengths emerge from their distresses, and allowing each person to see their full potential. 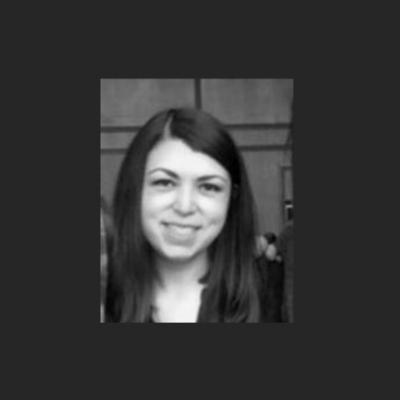 Jovana is also a Licensed Washington State Supervisor, and works with associate-level practitioners and interns at the Hallowell Todaro Center to help guide their clinical skills and expertise. Angie Milano is a strength-based therapist who received her bachelor’s degree in Psychology from Seattle University. She also received her Master’s Degree in Existential-Phenomonological Psychology from Seattle University. The majority of Angie’s clinical experience has been working with children and their families on the Psychiatry and Behavioral Medicine Unit at Seattle Children’s Hospital. Additionally, Angie has experience with in-home crisis stabilization while living in Kansas City, Missouri. Angie has experience working with children and parents struggling with ADHD, mood and anxiety disorders, eating disorders, and adjustment-related issues. Angie’s education and training has largely focused on appreciating the uniqueness of every client and their individual circumstance in an effort to assist them in creating deeper and lasting relationships. For over 20 years in his work with children, adolescents and adults, Erik has used strengths-based and client-centered perspectives along with cognitive behavioral therapy in his work with youth and adults. He earned his MSW degree from the University Of Washington School Of Social Work. He was clinical social work fellow at Yale Child Study Center at Yale University. As a fellow, he engaged in individual and family therapy with children, adolescents and their families. He was a therapist at Seattle Children’s Hospital Outpatient Psychiatry Clinic and is currently a clinical social worker in the Department of Adolescent Medicine at Seattle Children’s Hospital. Eileen holds a Master of Science degree in Play Therapy from the University of South Wales, UK and is certified as a Child Life Specialist. She is currently pursuing her Master of Education in Clinical Mental Health Counseling through Seattle University to obtain licensure in Washington State. Eileen’s approach is strengths based, and informed by her knowledge of child development, family dynamics, and attachment theory. Eileen primarily works with children and therefore employs less talk therapy, and more play therapy as that is how children learn, process and express themselves. Through her training as a child life specialist she is equipped to support children and families with preparing for or processing traumatic hospital experiences. Her hope is to provide skills and insights that will support children and families in their current circumstances, that they can continue to benefit from throughout their lives. Frank hold a master’s degree in Psychology from Antioch University Seattle and is dually licensed as a Marriage and Family Therapist and Chemical Dependency Professional. Frank has been in the behavioral health field for over 12 years. His experience includes work in both inpatient and outpatient substance abuse treatment settings with adolescents and adults. In addition he has worked extensively with family members of young people with a host of behavioral health issue such as addictions, depression, anxiety and communication related issues. Frank has had a small private practice on the north end of Seattle serving individuals and families. Frank also works Full-time for King County Crisis and commitment Services as one of four Supervisors for the Designated Crisis Responders. Frank's approach is client centered and collaborative with those he serves. Grace completed her Master's in Counseling and Psychology at The Seattle School of Theology and Psychology and did her undergrad in languages in England, which is where she is from originally. Grace has experience in both group and individual counseling in a variety of settings including schools, the foster care system, inpatient, community centers and universities. Grace spent 3 years working in the community with parents of young children and is passionate about supporting parents. Grace’s approach to counseling is strength based and client-centered. She holds the belief that every person can grow with support and kindness. She uses education around attachment and neuroscience to help parents understand themselves and their children’s behavior. Grace believes that we all need spaces where we can be fully human and move away from the many pressures we put on ourselves – especially as parents. In her spare time Grace endeavors to learn what she is preaching as she has three school age children of her own! She also loves to be in nature, traveling and a good book. Jamie is a Licensed Marriage and Family Therapist and has been working with children, adolescents, adults and families of all kinds for over 11 years. As a clinician she has spent time in homes, schools, and hospitals in addition to outpatient counseling. She has worked with families in crisis as a Mental Health Evaluator at Seattle Children's Hospital and in private practice has provided long term support and intervention around issues like depression, anxiety, grief and loss, and life transitions. Jamie believes that each family is unique in their ability to adapt and support each other while navigating new or unexpected circumstances. She values a compassionate, strengths-based approach to therapy and comes alongside her clients to help them build trust in themselves as they work through their concerns and discover new pathways. Jamie completed a Master's degree in Marriage and Family Therapy at Seattle Pacific University. She has completed post-graduate training in Emotion Focused Couples Therapy, Collaborative Management and Assessment of Suicidality, and Internal Family Systems Therapy. Jamie is a strength-based clinician with over 15 years experience working with children, adolescents, and adults in many settings. She graduated with her Masters in Social Work from the school of social service administration at the University of Chicago and has a Bachelor's in psychology from the University of Nebraska. Jamie has provided therapeutic services in psychiatric hospitals, community mental health, outpatient health clinics, and currently at Seattle Children's Hospital in the department of social work. Jamie has experience working with children, teens, and adults dealing with trauma, major life transitions, parent support, chronic health conditions, grief and loss, anxiety, depression, and conflictual relationships. Jamie is a certified bringing baby home gottman educator, and has had training in gottman couples therapy. Outside of work, Jamie enjoys spending time with her family, hiking, and writing. Jennifer earned her Master’s Degree in Clinical Psychology from Antioch University in Los Angeles, CA, and is licensed as a Marriage and Family Therapist in the State of Washington. She has over 13 years of experience providing both individual and family therapy to children, adolescents and their parents. Jennifer has worked in a number of clinical settings over the course of her career, including in-home, school, inpatient, outpatient, and residential settings. Jennifer is well grounded in several evidence-based modalities, including Cognitive Behavioral Therapy, Exposure and Response Prevention, and Dialectical Behavioral Therapy. She has specialized training in “The Incredible Years” and “The Collaborative Assessment and Management of Suicidality,” as well as the assessment and treatment of gender identity concerns. Jennifer’s clinical interests center around the assessment and treatment of youth with depression, anxiety, suicidality, trauma, and gender identity concerns. 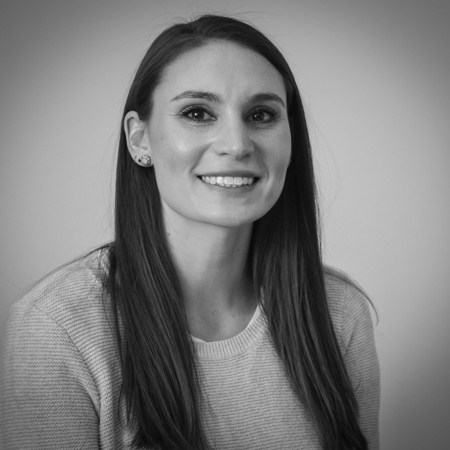 As an Intern at the Hallowell Todaro Center, Kelsey is working towards a Master's in Clinical Mental Health Counseling at Antioch University New England. She received her Bachelor's in Psychology at Seattle Pacific University. Kelsey brings with her three years of experience working in outreach with individuals in the community to meet their mental health goals. Most recently, Kelsey worked as an Intern at the Smith College counseling center. While Kelsey's experience has lead her to take an integrative approach to therapy, she is particularly drawn to mindfulness and strength based approaches. Kelsey views the counseling processes as a collaborative one, where client and counselor work together to define the therapeutic goals and course of treatment. When she isn't counseling Kelsey can be found cooking, playing with her pup, and exploring the city. Laura is a Licensed Clnical Social Worker Associate who earned her Master’s degree in Social Work at the University of Washington. She also holds a Master’s in Education from Harvard University. Empathy, non-judgment, and mindfulness are at the heart of Laura’s practice, as are early attachments and family systems—those first relationships and dynamics that shape us all. Laura also views the work of therapy through a narrative lens—looking deeply at the stories we tell and the language we use to describe ourselves. After many years working in elementary education, Laura shifted her focus to working with adults—leading support groups for new mothers, making home visits to families in trauma, working with survivors of domestic violence, and providing individual counseling services to adults in various stages of the life span. Drawing heavily on your strengths, Laura will work with you to create a trusting, transparent, and collaborative relationship where you feel safe to explore the places that feel most vulnerable, and to develop new perspectives and strategies for making the changes you want to make. As an integrated marriage and family therapist, Lisa draws from a diverse theoretical and experiential background to catalyze real and lasting change. She uses an empathic and pragmatic approach, offering clients a deep sense of respect and whole person care. She brings a broad understanding of human development, weaving together attachment theory, interpersonal neurobiology, and mind/body approaches as a framework for her holistic perspective. She values warmth, a down-to-earth attitude and utilizes evidence based tools from Dialectical Behavioral Therapy (DBT) and Acceptance Commitment Therapy (ACT) to support greater self-awareness, mastery over emotional reactivity, reduction of toxic stress, greater resilience and more confidence. She completed graduate coursework in Developmental Psychology and Counseling Psychology at San Francisco State University and the Wright Institute in Berkeley. She received advanced training in Psychodynamic Therapy from the Psychotherapy Institute in Berkeley. She is a Certified Trauma Specialist Professional and has done intensive work in Couple’s Therapy with The Relational Life Institute, The Gottman Institute, and The Couples Institute. Lisa has worked therapeutically with children, teens, and families in clinics and school settings along with seeing individuals for long term depth psychotherapy in her private practice. Her interest in self-regulation, attention and family work lead her to the clinic. She is thrilled for the opportunity to be part of a collaborative care team. Lynne is a strength-based clinician with over 25 years of experience working with children, adolescents and adults. She holds a Masters of Social Work (MSW) degree from the State University of New York at Albany and has provided comprehensive therapeutic services in a variety of settings including school- based, inpatient and outpatient programs. Lynne has specific expertise working with anxiety, depression, body focused repetitive behaviors, academic/employment related stress, parent support, relationship issues, adjustment, grief, school accommodation and intervention. Outside of the office, Lynne greatly enjoys photography and endurance sports. 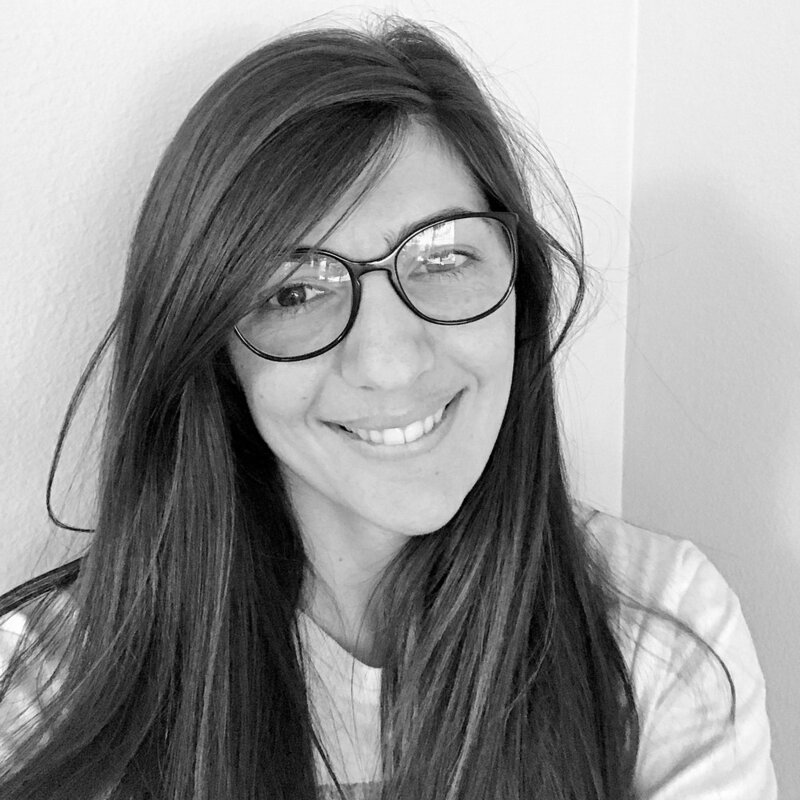 Martina received her Bachelor and Master Degrees in Clinical Psychology at University of Torino, in Italy, and she is currently attending a Master program in Couple and Family Therapy from Antioch University, Seattle. Martina’s work, in Italy, was with children and adults survivors of trauma, in particular child sexual abuse. Currently, she is working as Couple and Family Therapist intern with children, adolescents, and families struggling with emotional distress and behavioral problems at Renton Area Youth and Family Services. Martina believes that working with clients to collaboratively form a secure relationship provides the safe, comfortable, and supportive environment to manage anxiety and distress, to explore past experiences and memories, and to develop effective tools to cope with struggles. Martina’s approach is strength-based, humanistic, and client-centered. Michelle is a Licensed Marriage and Family Therapist and Registered Play Therapist. Michelle received her Master’s Degree in Psychology from Antioch University Seattle and also completed the yearlong certification program in Play Therapy at Antioch University Seattle. Michelle’s approach to therapy is best described as relationally based, emotion-focused, and client-centered. As a play therapist, she believes that playfulness and creativity are important components in client’s growth and healing and she utilizes creative and expressive therapeutic interventions in most sessions. Michelle is specifically trained in working with clients utilizing various play therapy modalities such as Child Centered Play Therapy (CCPT) and Sandtray Therapy while also drawing from other therapeutic approaches such as Interpersonal Neurobiology, Cognitive Behavioral Therapy (CBT), and Humanistic Therapy. She has experience working with clients dealing with ADHD, trauma, grief and loss, anxiety, depression, and behavioral issues. Mollie has been a Licensed Marriage and Family therapist in the state of Washington since 2002 and brings over 20 years of experience as a clinical therapist serving in community mental health, private practice, hospital and school settings. She obtained her Master of Science in Marriage and Family Therapy from Seattle Pacific University and her Bachelors of Arts Speech Communication Degree from the University of Washington. As a Licensed Marriage and Family therapist, Mollie has owned and operated a private practice in Bellevue, WA since 2000. While Mollie has a breadth of experience in working with children, adolescents and adults, she specializes in treating anxiety, depression, ADHD, eating disorders and learning difficulties. Mollie has also worked as a private school counselor/therapist. She created and runs the Balance After Baby support group at Overlake Hospital and feels passionate about helping new families thrive emotionally. Mollie believes on treating the whole person by focusing on the biological, psychological, social and spiritual aspects of her clients. Practically speaking, Mollie utilizes a mindfulness approach while simultaneously offering practical, applicable tools for her clients to implement into their daily lives. Outside of the office Mollie enjoys spending time being active with her husband and three kids, yoga, skiing and traveling to that next fun adventure. Molly earned her Master's degree at Antioch University Seattle in Clinical Mental Health Counseling and has a Bachelor of Music in flute performance from Manhattan School of Music. Molly has experience in a variety of mental health settings, including work with individuals and groups in community mental health agencies and a partial hospitalization program for women and girls. As a counselor, she utilizes strengths-based, person-centered, and mindfulness as her primary approaches to the therapeutic relationship. In addition to her training as a counselor, she has taught trauma-informed yoga for the past 5 years in studios around Seattle as well as in a women's prison. In her free time, Molly enjoys being in nature, learning to play the mandolin, and playing with her cat Rudy. Sandra is a strength- based therapist with over 16 years experience providing individual and family therapy to children adolescents and adults. She completed her MSW at Washington University in St. Louis and is a Licensed Clinical Social Worker. Sandra's experience includes work in a variety of settings including working as a Emergency Department Mental Health Evaluator at Seattle Children’s Hospital. She has also provided psychotherapy in community mental health programs, worked as a home-based counselor, a school social worker and has completed assessments for juvenile court. Sandra utilizes a family systems perspective in her treatment approach and believes in working comprehensively to address each individual's concerns and strengths. Andrea began her teaching career in 2001 in Southern California. She has a BFA in sculpture from Washington University in St. Louis, and went on to earn her teaching credential and MA in Special Education from California State University Northridge while teaching for LAUSD. Andrea brings a variety of classroom teaching experiences including self-contained Special Education programs as well as collaborative co-teaching positions. She has many years of experience working in the public school system, and has also worked as a Learning Support Teacher for the Zurich International School. Andrea specializes in supporting children and adults with learning differences (ADHD, Learning Disabilities, Social/Emotional challenges, etc.) utilizing a strengths based, team approach. She enjoys working with parents and other support providers to help students reach their goals. Andrea is inspired by the teachings of Dr. Hallowell and is thrilled to join the team of the Hallowell Todaro Center. April is a writing specialist and an executive function coach. She received her B.A. in English from Hunter College in New York City, and her M.A. in Literature and Writing from the University of Washington. For nine years April was an upper-school English teacher at Seattle Academy of Arts and Sciences (SAAS), where she developed pattern-based models of writing instruction used by the English, History, and Learning Support departments. Before teaching at SAAS, she spent six years in the Humanities and Sciences Department at Cornish College of the Arts. At Cornish, April helped create the Integrated Studies Program, a year-long course designed to prepare new students for success in college-level reading, writing, and critical thinking. She believes that the path to good writing shouldn’t be mysterious, and that experienced writers draw on patterns and structures that are repeatable—even enjoyable—once practiced and learned. Genevieve is currently studying School Psychology at Seattle University, and she holds a bachelor’s degree in Psychology from New York University and a law degree from University of Washington. She has found that the best way to advocate for others is through helping them discover their strengths. Most recently, she worked with juniors and seniors at Seattle Academy of Arts and Sciences (SAAS) as a study skills teacher and soccer coach. In addition to helping her students advocate for themselves, navigate college applications, create organization systems, and deconstruct assignments into manageable steps, she collaborated with each student’s parents and teachers to streamline the student’s learning process. She also has experience working with youth ages 2-18 at a center for children diagnosed with Autism Spectrum Disorders. Her experience in rigorous academic and work environments has helped her acquire many tools and organization skills that she is eager to share with her clients. When not working with others, she enjoys traveling, kickboxing, running, playing soccer, and spending time with her daughter. Hannah values the unique way each mind works and strives to enable her clients through identifying strengths, embracing difficulties, and building confidence and curiosity. She believes that people gain the most when their successes are from their own learning and hard work. Her goal is to empower her clients by strengthening their cognitive and socio-emotional skillsets through coaching and training so that they can improve their confidence, motivation, and self-regulation. Hannah received her Masters of Science, Educational Psychology from George Mason University with a focus in Learning, Cognition, and Motivation. She worked with students ranging from preschool through adulthood with a wide range of behavioral, emotional, and cognitive challenges across various settings. In addition to her work as an Educational Psychologist, Hannah is a yoga and mindfulness teacher, and has spent the last three years researching the effects of mindfulness on self-regulation. In her free time, Hannah is a passionate equestrian, runner, yogi, baker, and pun-creator. Jenny values diversity of thought and loves to work with her clients to explore strengths, embrace challenges, and cultivate curiosity and metacognition. She believes that people thrive when given the opportunity to creatively problem-solve while provided with individualized, holistic, and strength-based support. Jenny received her Masters in Education from the University of Washington with a dual certification in General Education K-8 and Special Education K-12. She has taught children and adolescents with a wide range of behavioral, emotional, and cognitive conditions across various settings. Her experiences include working as a lead counselor in an intensive therapeutic day camp for children with ADHD and Autism, teaching a K-2 self-contained class with inclusion opportunities at Broadview-Thomson K-8, and teaching 1:1 classes and small groups in multiple subjects across grade levels at Yellow Wood Academy. In her free time, Jenny delights in learning new things, traveling, hiking, snowboarding, walking her dog, and laughing with family and friends. Liz is an elementary school educator with over 15 years of experience in public and private schools as a teacher, parent and board member. She has a BA in English from the University of Washington and a Masters in Teaching from City University. Liz has special training in literacy from Columbia Teachers College and in Laura Rogan’s Wired for Reading. In addition to her years as a classroom teacher, Liz worked as a tutor for elementary-aged children. She also served on the Washington State Postpartum Support International board of directors and lead the warm-line, where she supported families in crisis. 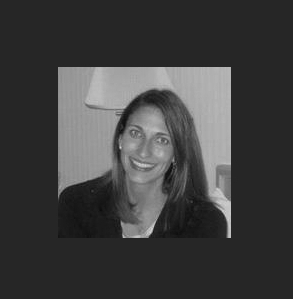 At the Hallowell Todaro Center, Liz is a coach, tutor and consulting teacher who specializes in providing individualized support for children with ADHD. As part of the school services team, she also provides in-class professional development for educators. Liz is passionate about developing relationships with elementary aged youth and their families, supporting them to reach their potential, while enjoying a happy and joyful childhood. Mara is an early childhood educator who feels most at home in a room full of two-year-olds. She earned her B.A. in Politics from Occidental College where she focused on issues of inequitable access to education. She is currently completing her Master’s in Education at the University of Washington where she is studying Learning Sciences and Human Development. Over the course of the last 10 years, Mara has worked in educational settings with youth ranging from infants to high school seniors. For the last four years, she worked as a lead preschool teacher in Seattle and Los Angeles. She is passionate about creating educational spaces that affirm youth and work across difference. Mara is incredibly excited to be a part of the team at the Hallowell Todaro ADHD Center. Marcee attended Landmark College in Vermont prior to earning her BA in Sociology from Central Washington University. She later earned an M.Ed. in Guidance and Counseling from City University, and went on to become a National Board Certified Teacher (NBCT) in School Counseling. As someone with the gift of learning differences, she lives by example for how to celebrate learning differently and navigate a system that may not always feel like it understands you. Marcee has been supporting youth with learning differences, ADHD, and ASD for over 17 years, including over 10 years as an Elementary School Counselor in the Lake Washington School District. Previously she was the Program Director at the Learning Disabilities Association of Washington and a had a private practice in Bellevue teaching social skills — all of which have helped inform and mold her approach to coaching and counseling. Marcee is passionate about empowering people with ADHD to discover their super-powers and develop attributes for success so they can live their best lives. She also enjoys helping parents to navigate the school system and communicate effectively with teachers. Megan received her undergraduate degree from Western Washington University with a dual certification in General Education K-8 and Special Education K-12. She earned her Master's degree in 2002 in the area of Special Education K-12 Mild to Moderate at Cal State Hayward. She also earned her National Board Certification in 2008 in the area of Special Education Mild to Moderate Learning Disabilities. Mēgan has over 22 years of experience in education and working with students, parents, educators and related educational agencies. Her classroom teaching experiences includes: Resource Room Teacher and Inclusion Specialist at the elementary school level, Middle School Language Arts and Socials Studies teacher (in the general education classroom), Study Skills Resource Room teacher at the middle school-level, High School self-contained classroom teacher for students with mild to moderate learning disabilities and behavior problems, 2nd grade teacher in the general education setting, and finally, she went on to teach at International School in Bellevue School District 6-12th grade level as a Study Skills Teacher. Currently, at Hallowell Todaro ADHD Center, Mēgan has spent time working as an academic coach and tutor, and an educational consultant to both teachers and parents. In addition to this, she is the Professional Development Services Program Lead, and specializes in putting together trainings and educational seminars related to ADHD, Learning Differences and the developing brain at the Hallowell Todaro ADHD Center. Mēgan’s passion is to work with students with ADHD and other learning differences, and to help educators and parents find strength-based interventions to meet individual learning difference needs in the classroom and at home. Sally is an active community volunteer. She is a founding member of the Bainbridge Coalition for Youth and Parents (now called Raising Resilience) and Imagine Bainbridge, two organizations that promoted a positive environment and relevant opportunities for teens. She co-founded the Mama Llamas, a supportive network for parents of tweens and teens. Sally is a lifelong meditator and in her leisure time enjoys hiking, skiing and gardening. Currently, Sally has a private practice on Bainbridge Island, and is co-owner of Life’s a Poodle, a company dedicated to promoting the success and dignity of children who learn differently. 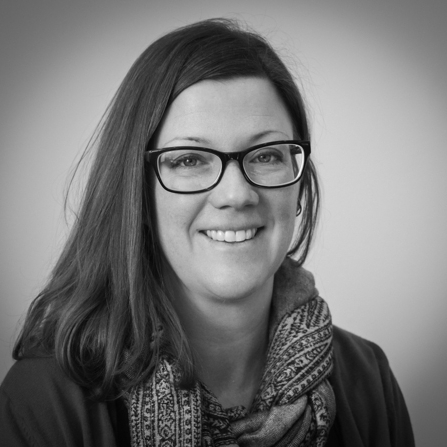 Aimee earned her Master’s Degree in School Counseling from Indiana University and her Bachelor’s Degree from the University of Wisconsin-Madison. She has worked in education in various capacities for more than 16 years. Aimee has assisted in special needs classrooms and worked one-on-one with students for various social-emotional and academic challenges including ADHD, anxiety, and executive function deficits. Aimee has additional expertise working with adults, and parents of children with ADHD through the Calm and Connected Workshops. She works with people of all ages to help them reach their goals. Aimee utilizes her knowledge of strength-based practice, mindfulness, and a whole-person strength-based approach when working with clients for coaching and/or therapy. Aimee enjoys living in the PNW for its healthy lifestyle and beautiful scenery. Anita has many years of experience leading and teaching in both independent and public schools. She currently splits her time as a therapist and coach for the Hallowell Todaro Center and a school counselor for the Bainbridge Island School District. 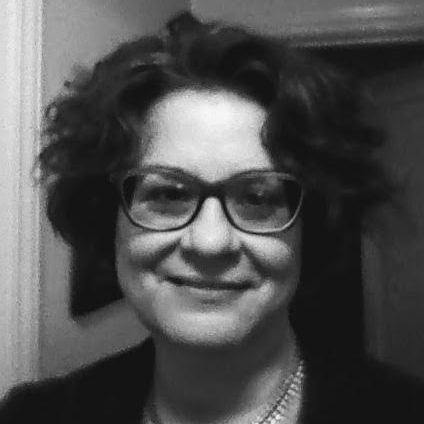 Prior to coming to the Hallowell Todaro Center, Anita worked at Seattle Academy Of Arts And Sciences (SAAS) as a middle school Study Skills Teacher and Learning Support Coordinator. At SAAS, she assisted students with a range of abilities and needs and worked comprehensively with families, faculty, and staff to provide positive and effective support plans. Before SAAS, Anita worked at Punahou School in Honolulu, where she served as a high school Counselor and completed a fellowship that led to the development of a Learning Support Center. The Learning Support Center was structured to support students with a variety of learning differences. Prior to Punahou, Anita taught middle school humanities for the Central Kitsap School District. Anita has a BA from Central Washington University in Education and an MSCP in School Counseling from Chaminade University. Khloe completed her Master's in Clinical Mental Health Counseling at Antioch University Seattle, and holds a B.S. in Psychology from Southern Utah University. Khloe has experience in both group and individual counseling in a variety of settings including homeless shelters, universities, and group practice. Khloe's approach to counseling is evidence-based and client-centered. She holds the belief that every person is inherently good, lovable, capable, and resilient; thus she draws upon the client's perception and wisdom to inform the use of interventions. Khloe believes it is important to meet clients where they are at and work collaboratively with clients to meet their goals. In her spare time, Khloe enjoys spending time in nature, doing karaoke, and country line dancing. Micah holds a Master of Social Work degree from the University of Washington. He has experience in school, community mental health, and crisis intervention services with youth, young adults, families, and adults. He has also worked in several traditional and alternative schools in varied roles. In working with clients, Micah has a therapeutic orientation that is client-centered, strength-based, and contemplative of systemic factors (e.g. : family dynamics, poverty, and environment). He approaches clients using therapeutic models including Cognitive Behavioral Therapy (CBT), humanistic therapy, and narrative therapy. 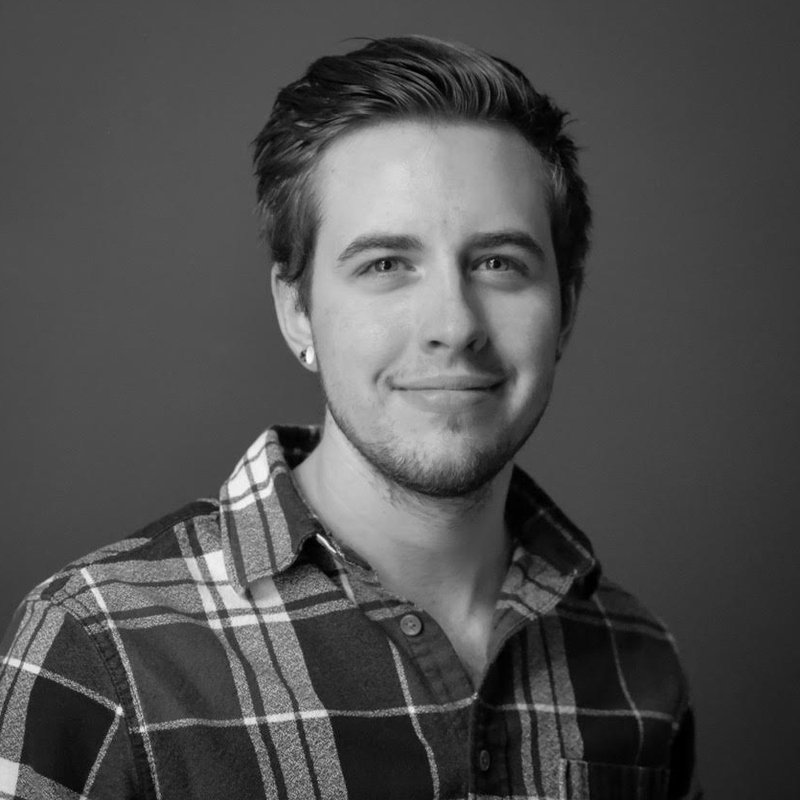 Micah’s areas of particular interest and experience include ADHD, accommodation planning, gender identity and sexual orientation, anxiety, depression, Autism Spectrum Disorder, and systems involvement (child welfare, juvenile justice, etc.). Micah and his dog Zeke are also a volunteer therapy dog team. Micah enjoys working with the talented, insightful, and dynamic individuals who receive services at the Hallowell Todaro Center. 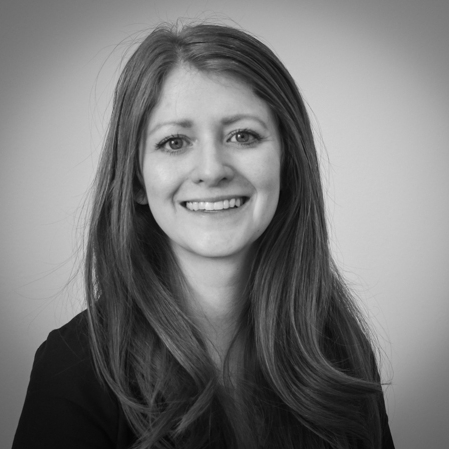 Molly earned her undergraduate degree in Psychology at the University of Oregon, and is currently working towards her Masters in Marital and Family Therapy at Antioch University Seattle. Molly has spent the last six years working with patients and families at Seattle Children’s Hospital on the Inpatient Psychiatry and Behavioral Medicine Unit. While there, she worked with patients and families to facilitate age appropriate de-escalation techniques. Molly’s interests include fostering meaningful relationships between family members as well as teaching supportive measures to parents. Molly works from a strength-based, solution-focused approach in session and uses Acceptance and Commitment Therapy (ACT). Molly works with individuals, couples, and families and has completed Level 1 Training in Gottman Method Couples Therapy. She believes the relationship between the therapist and client is paramount for productive treatment. She considers therapy as a joint venture between herself and clients. Notae is an intern currently enrolled at Antioch University Seattle, where she is working towards a Master's degree in Clinical Mental Health Counseling with a concentration in Addictions. She also studied at George Mason University where she received a Bachelor's in Psychology and minored in Women and Gender studies with a concentration in LGBTA+ studies. Notae has spent several years working in the community aiding individuals to navigate strategies to enrich their quality of life and highlight the beauty already present in it. Her most recent work has been as a practicum counselor at Antioch University Seattle's Clinic and as a facilitator at the Recovery Café. Notae believes individuals naturally pursue a healthy establishment of authenticity and balance in self-expression. She sees the counseling process as collaborative. To that end, she prizes placing priority in creating a safe and trusting relationship for self-exploration. Notae prefers integrative and existential approaches to therapy, with influences from Gestalt, Family Systems, Strength-Based, and Cognitive Behavioral Therapy. Paul holds a Masters degree in Marriage and Family Therapy and brings 20 years of experience working with youth and adults utilizing a wide variety of approaches. He focuses on clients as unique and complete people: building on strengths and acknowledging challenges. Paul is able to meet clients where they are in their lives and support their growth utilizing an approach that is collaborative, curious, honest, playful, and celebratory. His background in eco-psychology, rites of passage, experiential therapy, social work, and career counseling has taught him that people naturally find clarity and growth once challenges are understood and addressed. Paul has an affinity for working with teenagers, young adults, and adults in times of transitions. In his free time, Paul walks in the woods, guides wilderness rite of passage programs, and plays with dogs. Polo has a Ph.D. in School Psychology from the University of Washington and a M.A. in Youth and Moral Development through Sport (a developmental sport psychology education) from the University of Minnesota. Polo has worked in a mentor, counselor, para-educator, teacher, school psychologist, or coach capacity with young people (adolescents and young adults) for over 10 years. Polo’s doctoral work centered on preventative approaches to promote wellness, in particular, fostering resilience. Polo worked with a colleague to develop a resilience class that continues to be taught at to undergraduates at the University of Washington; works as Curriculum Development Lead for the University of Washington Resilience Lab (UWRL); and teaches a Team and Athlete Wellness course for existing and aspiring college coaches earning an M.Ed. in Intercollegiate Athletic Leadership M.Ed. at the Center for Leadership in Athletics at the University of Washington. Polo uses a resilience framework he developed with a colleague that is a distillation of the literature identifying what promotes resilience. The A.P.T. Framework serves as a roadmap to guide efforts to foster resilience and can be tailored to anyone. Polo also works as a therapist with Seattle Psychology and focuses his practice on adolescence and emerging and early adulthood. In addition to working directly with young people, Polo enjoys working with the parents of young people to optimize positive outcomes for young people, their families and their communities. Polo loves to compete and continues to play soccer, tennis, softball, ski and has an odd confidence in his badminton ability. Polo draws on CBT, ACT, mindfulness and an array of psychoeducation and positive psychological approaches in his practice. He is passionate about supporting adolescence because he believes they have a unique window to choose the person they want to become and to be their best selves. Stacie is a client-centered therapist who received a Bachelors of Science in Education at Pennsylvania State University, followed by a Masters of Education in Clinical Mental Health at Seattle University. Stacie brings a variety of experiences to the table, from her role as an elementary school teacher in inner-city Philadelphia, to her most recent dual-role as a therapist and executive functions coach in the Seattle area. Stacie works with children, teens and young adults to develop self-awareness, identify strengths, and transition towards autonomy. She also is well versed in collaboration among schools and providers alike. Outside of work, Stacie likes to spend time with family and friends, as well as her Border Collie, Ace. Travis earned a Masters in Mental Health Counseling at Antioch University Seattle and is now excited to work with and support all individuals and families that come to the Hallowell Todaro Center. He has over seventeen years of experience working in mental health treatment settings. He most recently has worked at Seattle Childrens Hospital’s Psychiatry and Behavioral Medicine Unit, but also has experience working with individuals, families and couples in the therapist role. Travis is a proud advocate for the healthy development of all individuals and enjoys engaging with clients of diverse backgrounds and experiences. He has spent the last few years honing his skills in clinical Mindfulness/DBT and CBT techniques, but what is most important to him is that he centers all of his work on the client’s particular needs. Outside of his practice he is interested in music, creative writing and is also a diehard fan of the Seahawks. He is looking forward to working together with you all to bring the changes you want to make into reality. Amy received her Masters of Science in Nursing degree from Seattle University and a bachelor’s degree from Gustavus Adolphus College (MN). She is board certified in family practice and has worked in the field since 2011. She is currently employed by the Hallowell Todaro Center as a medication consultant and prescriber and by the Veterans Health Administration where she meets the healthcare needs of Veterans. Dr. Arjun Bansal, MD is a board certified child, adolescent, and adult psychiatrist, who has been in practice since 2014. He received his medical degree from the University of Cincinnati College of Medicine in 2009, and in 2012 completed his residency in general psychiatry at Emory University in Atlanta, GA. He moved to the Seattle area in 2012, where he completed a subspecialty fellowship in child and adolescent psychiatry at Seattle Children's Hospital/University of Washington in 2014. After completion of training, his professional experience includes work in the inpatient setting at SCH, as well as providing outpatient psychiatric care to a diverse population of children, adolescents, and young adults, with a wide variety of neuropsychiatric conditions. He works part time at the Hallowell Todaro Center as a consultant and prescriber. Jason received a Master of Science in nursing degree from Seattle University and a Bachelor of Science in nursing degree from Seton Hall University (NJ). He is board certificated as both a family nurse practitioner and a psychiatric nurse. He has worked in the field of psychiatry since 2007 and has devoted his practice to specializing in the diagnosis and treatment of ADD/ADHD since 2011. Jason spent 5 years working at the Inpatient Psychiatric Unit of Seattle Children's Hospital and currently serves as the ADD/ADHD specialist at Virginia Mason Medical Center. Andy holds master's degrees from both Oxford and Edinburgh Universities. He has been tutoring full-time since 2010. In 2015, after moving to Seattle from the U.K., he founded Hampton Tutors in Seattle's University District. He specializes in exam technique and SAT/ACT strategies. Andy has experience working with students with dyslexia, ADD and ADHD, and specializes in drawing out students' confidence and empowering them to achieve their learning goals. Melissa has a BA from the University of Washington and an Educational Specialist (Ed.S.) degree in School Psychology from Seattle University. She is passionate about working with students and their families through neuropsychological testing in order to identify patterns of cognitive, academic, social/emotional and executive functioning strengths and weaknesses in order to create plans to better support student success at home and at school. Melissa previously worked as a School Psychologist in the public school system with elementary and preschool-aged students. She has worked at the Hallowell-Todaro Center since 2015 and loves the centers positive, strengths-based approach to helping families. This team works with schools to provide valuable support and interventions for students with ADHD or other leaning differences. Our Academic Intervention Support team is made up of a group of individuals who have had many years of experience working in schools as teachers, specialists, mental health counselors and consultants. This growing area of service is in line with our “wrap around” service approach, with the goal of integrating services in order to provide support for parents, students and educators. Our team can work with you and your school in order to pinpoint problematic areas related to skill development, work production, behavioral issues, emotional development, program implementation and more... Working as a team with your school, we can provide valuable support and interventions at the "point of performance" where these issues often take place.